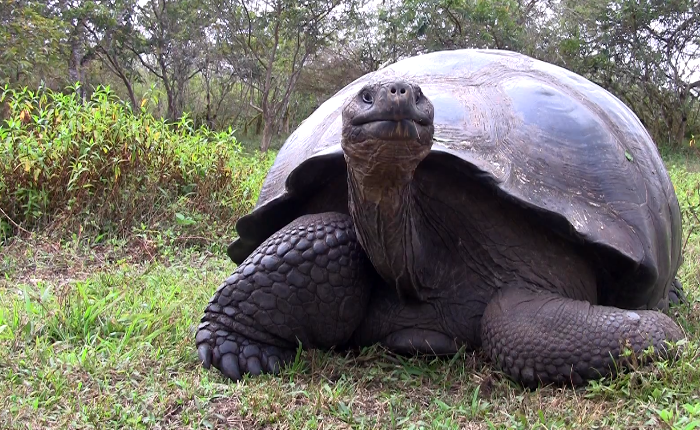 Giant Galapagos Tortoise! Extreme Close Up! RUN! For optimum results…set it to FULL SCREEN, and then set the quality to 1080HD.Look at how mad its skin is around where the neck goes into the shell – you can see it breathing. So amazing.